ALISON GOPNIK is a professor of psychology and affiliate professor of philosophy at the University of California at Berkeley. She is an international leader in the field of children’s learning and was one of the first cognitive scientists to show how developmental psychology could help solve ancient philosophical problems. She is the coauthor (with Andrew Meltzoff) of Words, Thoughts, and Theories, and (with Patricia Kuhl and Andrew Meltzoff) of The Scientist in the Crib: Minds, Brains, and How Children Learn, and the author of the forthcoming The Philosophical Baby: What Children's Minds tell us About Truth, Love and the Meaning of Life (forthcoming). 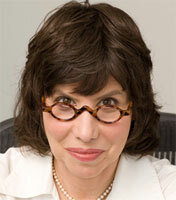 BEYOND EDGE: Alison Gopnik Bio Page; Alison Gopnik Memory Lecture.